How about 2 desserts in one? 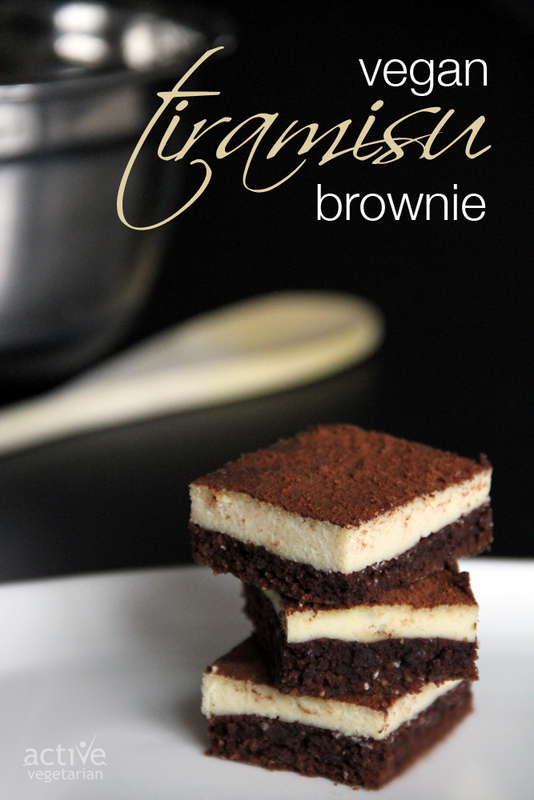 These Tiramisu Brownies are sure to be a crowd pleaser. The Brownie is dense and fudge-y with an intense chocolatey flavor, and hint of coffee. Only to be topped off with a creamy tofu “cheesecake” that will fool everyone. When 2 become 1... Vegan chocolate fudge-y brownie meets creamy cheesecake! Brownie: In a bowl, add all the dry ingredients and mix well. In a pan heat non dairy milk and maple syrup until hot. Next add the dark chocolate until fully melts. Add the rest of the ingredients and mix well. Add the wet mixture into dry and mix to combine. Mix in chocolate chips if desire. Spread the prepared batter in pan using a spatula to a level it. Cheesecake: Lightly squeeze the excess water out of tofu and start to blend in food processor. Add the remaining cheesecake ingredients blend until smooth. Taste and add more lemon juice if you desire. Drop the blended batter onto brownie batter. Spread evenly with a spatula. Bake for 40 to 45 minutes or until the center is set and the edges of the cheesecake start to get golden. These sound lovely! Do you have nutritional info for these? 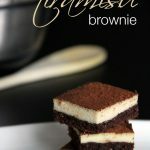 Unfortunately I do not have the nutritional info for the Tiramisu Brownies – however there are free sites online that allow you to calculate it… I quickly searched and found this one http://recipes.sparkpeople.com/recipe-calculator.asp you just have to register to get the info 🙂 Hope that helps!